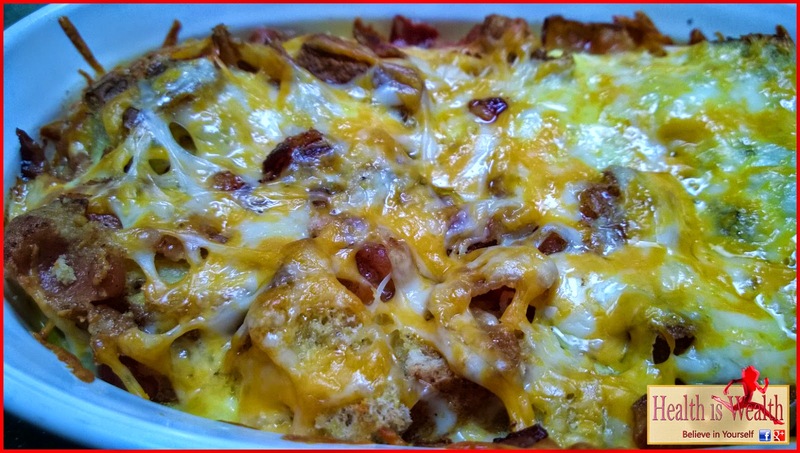 This bacon, egg and cheese breakfast casserole is seriously one of the best things ever. 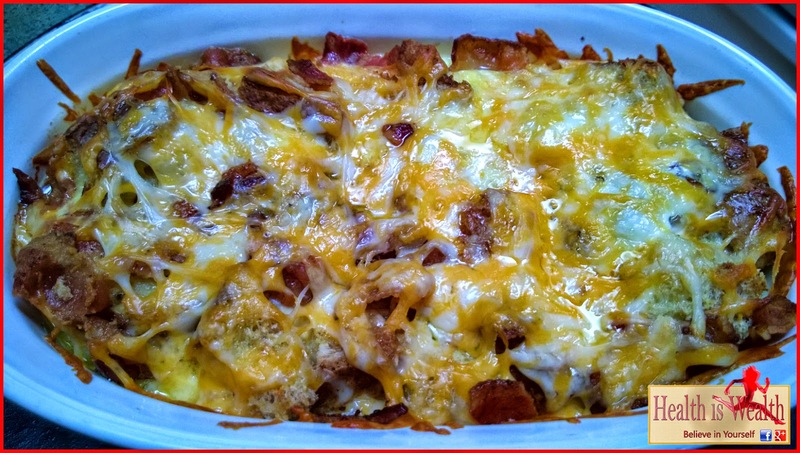 It's easy to prep the night before, then pop it in the oven morning of for an absolutely delicious breakfast. Cover with plastic wrap and refrigerate overnight, then bake at 350 F for 45 - 60 minutes.